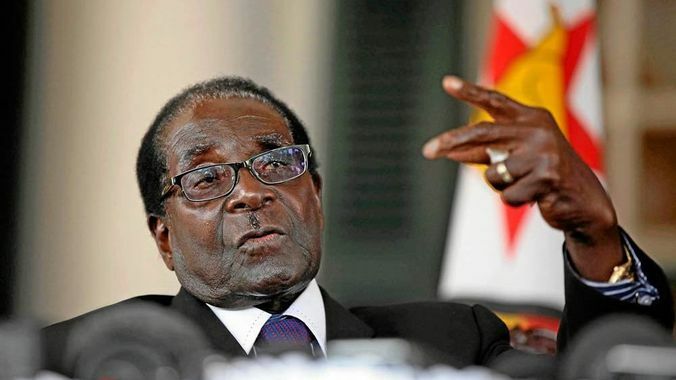 ZIMBABWE – The People’s Democratic Party (PDP) has threatened to take President Robert Mugabe head on if the Zanu PF government continues to dither on implementing devolution as stipulated in the Constitution. Masvingo provincial chairman, Harrison Mudzuri said the party is ready to confront Mugabe over his non-compliance in implementing provisions in the country’s supreme law to devolve administration, according to regions and provinces so resources benefit local people. “We cannot wait anymore. The Constitution is very clear: Devolution is now long overdue. Come 2016, we will take Mugabe and his party head on. Masvingo’s development cannot continue to lag behind when devolution has been guaranteed in the Constitution,” he said. Mudzuri spoke after meeting party structures in Masvingo at the weekend. The conference was aimed at taking the party’s policies to its grassroots. According to the Constitution adopted in March 2013, the government should have implemented devolution and allowed the developmental agenda of various provinces to be determined locally. But Mugabe, soon after his re-election in July 2013, appointed Provincial Affairs ministers, a move observers said was a clear message he was unwilling to implement devolution in line with the Constitution. Although Zanu PF maintains the country is broke to implement devolution, the party is on record saying it feared devolution would lead to secessation. The Tendai Biti-led PDP said Zanu PF must implement the law in total. Party national chairperson, Lucia Matibenga presented the party’s ideologies “of social democracy” saying they were guided by values of respect, sincerity, integrity and solidarity. “As the PDP, we are the only true social democratic party in Zimbabwe. Social democracy is about growing the economy, while ensuring social redistribution of wealth, upholding human and workers’ rights, respecting the social contracts and ensuring future sustainability. In short social democracy is about people power,” she said. Party secretary for elections, Settlement Chikwinya, told delegates that although they have issues with the current electoral system, they will prepare for 2018 polls, while pushing for reform in the management of elections in the country. “We must always prepare for future elections because that is the route we have chosen to use in effecting political change in Zimbabwe. “However, we are not naive and blind as to how Zanu PF has tilted the electoral field in its favour,” Chikwinya said.